It’s not every day that we receive a testimonial on paper … in the post … in a box! In fact, I think we’ve had two on cards in the sixteen years we’ve been in business (this one included) in addition to the many that adorn our website that we receive via email. 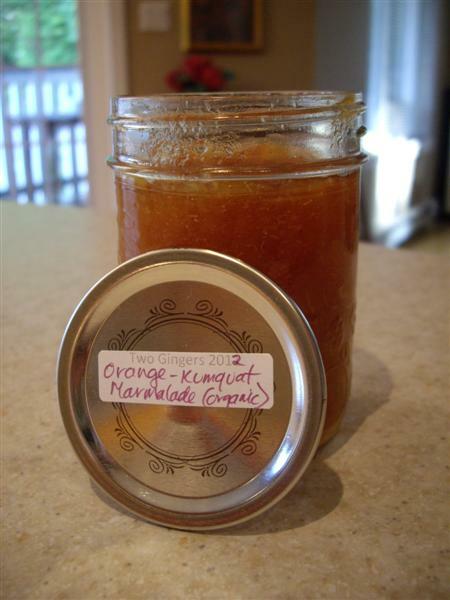 And with the card in the box was, not a body part or a bomb, but a jar of home-made, organic orange-kumquat marmalade. I wonder how many jars of home-made marmalade, sent with appreciation for “amazing tech support”, they receive at MegaCrazyHost? Hmm. Thank-you to Zsuzsi and John (the “Two Gingers”) at GingerMedia for their very kind (and tasty!) gesture. Zsuzsi and John do web design. You should hire them. Plastic. Two of NinerNet‘s clients are plastic fantastic fanatics. Well, not really; that just sounded cool. They’re actually quite the opposite, trying to educate the world about the extent to which we rely on plastic, and the harm that the plastic we discard is doing to the environment. The impetus for this post was a post made yesterday on the BSI Biodegradable Solutions blog about a short (eight minutes) video entitled One Plastic Beach. Watch it. Behind the quirky humour is the unrelenting effect that plastic is having on the environment, particularly the marine environment and the animals that live in and over our man-made “plastic soup”. Which brings me to our other plastic client: Dutch author Jesse Goossens who has written the books Plastic Soup (English edition, ISBN-10: 9047702069, ISBN-13: 978-9047702061, Amazon.com affiliate link, non-affiliate link) and “Plastic Soep” (Dutch edition). In her own words: “Floating in the Pacific Ocean is a vast amount of plastic waste twice the size of the United States. Marine life and sea birds are dying, and we are also finding plastic in our own foods from the sea … all with dire consequences. Look, read and shudder; it’s time for action!” You can read her blog in English (Plastic Soup) or Nederlands (Plastic Soep). We’re shy here at NinerNet. We don’t like to toot our own horn more than is necessary. This is why we don’t beg our clients to write testimonials for us — either lengthy ones, or short ones loaded with exclamation marks that make the writer sound like he’s on speed, or make us sound like we’re the best thing since sliced bread. (We’re good, but not that good!) We simply do not solicit testimonials. Not only are they easily faked anyway, but … I don’t know … it seems to me to be like going up to the cool kid in the playground and asking if she likes you and if you can be her friend. Not cool. Anyway, the point of this post is that we’re going to start posting testimonials on this fledgling blog as they come in, and often add the context behind the testimonial that you don’t get when reading the short quote on our website. I think that adding in the context will show how, every day, we help our clients achieve what they want to achieve using the technology that we provide. It also shows the authenticity of our testimonials. Thank-you … for all your kind help. You have made the jump into this unfamiliar territory so much easier. This was sent to us in the mid-nineties by Avalon Dance Shop of Canada Ltd., who are still a client of ours today. I remember sitting on a bench (or was it a stool?) with the owners of Avalon Dance in the dim light at the back of their shop after hours, explaining the then relatively new technology of the World Wide Web. Evidently they appreciated my help, and hopefully still do today. Thanks again for your quick response and willingness to assist as always.